Keep your manicure chip-free and beautiful with one of these hard-working top coats. When you spend a lot of time painting your nails, it can be somewhat soul destroying to see them chip after a day or two. There are several things you can do to avoid this, but the best way to avoid chip-central is to use a chip-resistant clear top coat over your colour. 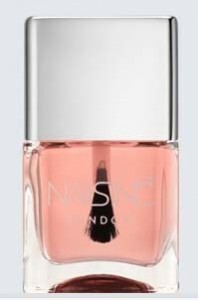 Giving you the appearance of gel nails, the Kensington Caviar top coat from Nails Inc promises a high-shine finish and keeps nail colour in place for longer. Applying this will give your look a professional finish and help protect colour fade. Advertised for its quick-drying properties, Seche Vite’s Dry Fast top coat is better known for being chip-resistant. The best-seller’s formula penetrates through the nail lacquer to the base coat to form a single coating. This makes for a more durable finish. This top coat dries in 30 seconds and promises to keep your nails chip-free for up to 10 days. The brand sa ys you’ll get ‘superior shine, chip resistance and a great manicure that lasts’, what more could you ask for? 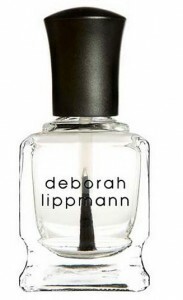 Known for her gorgeous collection of colours, Daborah Lippmann’s treatments are equally as great. Perfect for brittle nails prone to splitting, her Rock Hard formula can be used as a base coat or a top coat and helps to strengthen nails with protein-rich ingredients. A classic in the top coat department, Essie know what they’re doing when it comes to nails. Its formula is designed to shield your colour and resist chips/peeling. The finish is slightly more matte compared to other brands, so you may want to follow up with a glossy coat after. Want a really long-lasting manicure? Try Bio Sculpture gel nails. View and comment on the original So Feminine article.